I know I'm not the only one sitting here sweating, frantically drinking iced tea and looking forward to the arrival of autumn. 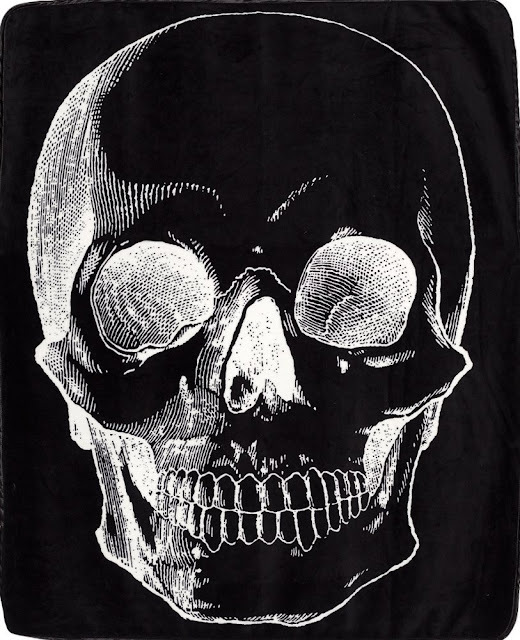 Anticipating chilly nights ahead, I'm shopping around for some cozy throw blankets. Here's a few tempting ones from Sourpuss! 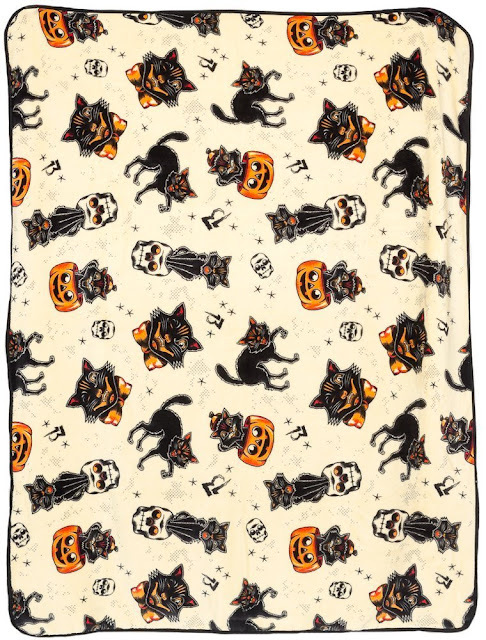 I find Sourpuss's Skull blanket to be quite versatile. You can use it in autumn, at Easter, on your birthday, on the way to a funeral, etc! 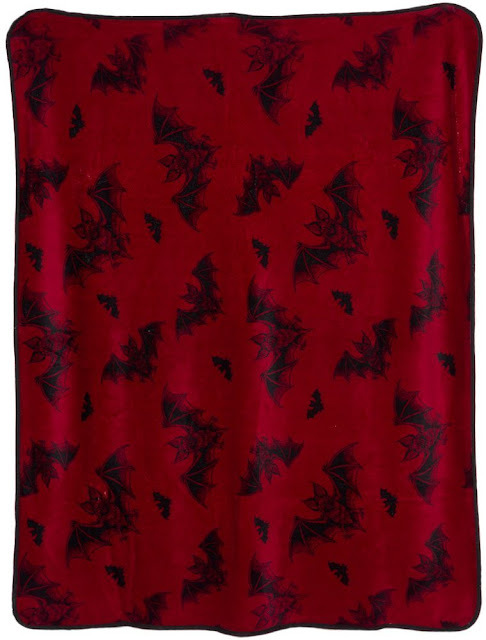 The "Batt Attack" blanket features black bats on a red background. How perfect for Christmastime! 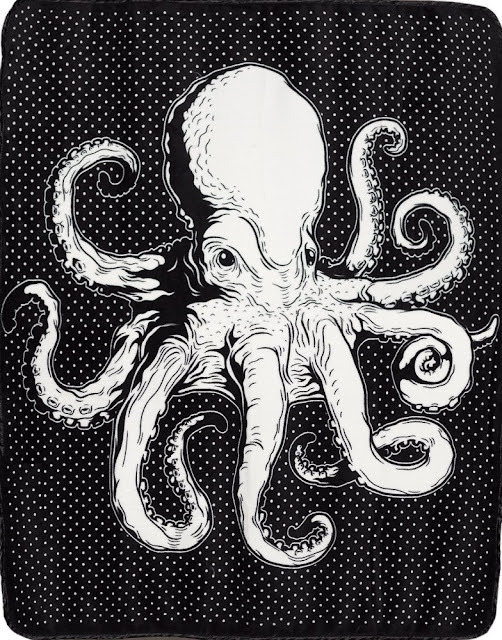 If your tastes run more to steampunk, the Octopus blanket might fit nicely into your home decor.